Doug Rathbone’s tenure at the helm of crop protection company Nufarm came to an end on Wednesday when the former maths and science teacher offered his immediate resignation after spending 41 years with the company,15 of which as Managing Director and Chief Executive. Nufarm’s Chairman, Mr Donald McGauchie, confirmed the news on Wednesday and thanked Mr Rathbone for his immense contribution to the company’s cause over the last four decades. “Doug has shown an enormous commitment to Nufarm for the past 41 years, including his 15 years leading the company. He has helped build Nufarm from a regional agrichemical business into a global leader in crop protection and specialty seed,” he said. The company also announced that it would pursue a $100 million cost reduction and continuous improvement program that had been in planning since late last year, along with a separate program to aggressively reduce working capital to meet its target of 40% average net working capital to sales by the end of the 2016 financial year. “Nufarm has strong growth prospects in both the crop protection and the specialist seeds businesses which, together with the cost-reduction and continuous improvement program and reduction in working capital requirements, point to a strong future for the company,” Mr McGauchie said. Mr Rathbone said he left the post knowing that the company was in a strong financial position and with well-established international operations and seed businesses. 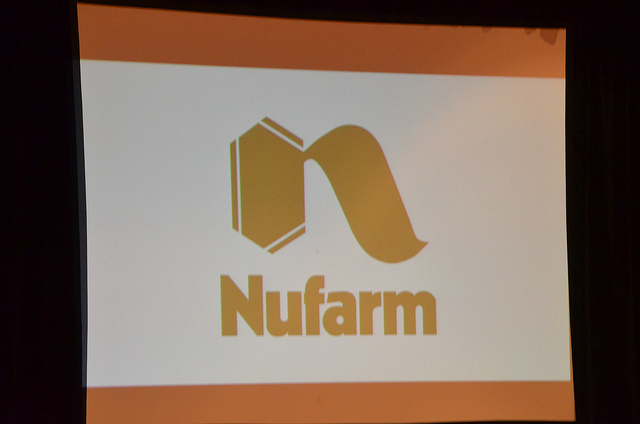 “In recent years, Nufarm has expanded and diversified to protect against cyclical forces and the company is now on a growth path with our wonderful team of 3500 people around the world,” Mr Rathbone said. The company said that the vacant position will be temporarily filled by former Elders Executive Greg Hunt and that the global search for a permanent replacement had already commenced.